A trawler in Alaska. Aboard a Selene 60, a voyage of a lifetime. Alaska is one of two U.S. states not bordered by another state; Hawaii being the other. Alaska has more ocean coastline than all of the other U.S. states combined. About 500 miles (800 km) of Canadian territory separate Alaska from Washington State. To reach Alaska on a yacht from Seattle for instance you first have to cross from south to north the Canadian province of British Columbia along 600 nautical miles of deep channels, and between thousands of islands. Anchorage, Juneau, Ketchikan, Unalaska/Port of Dutch Harbor qualify as entry ports for non US-flagged yachts entering Alaskan waters. 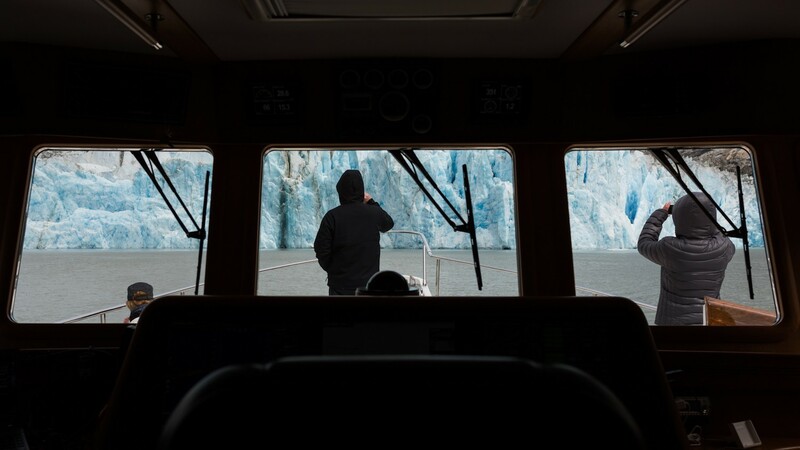 The best season for weather and temperature is from late-spring through early-fall, but it extends a bit later in the year, and fuel is usually available in even the most remote harbors. 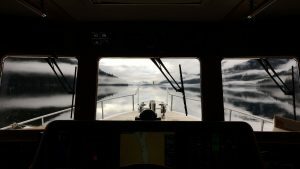 We are happy to share some dreamy photos taken by Carl Gulledge through the pilothouse windows of his Selene 60 trawler… Your dream is our commitment.